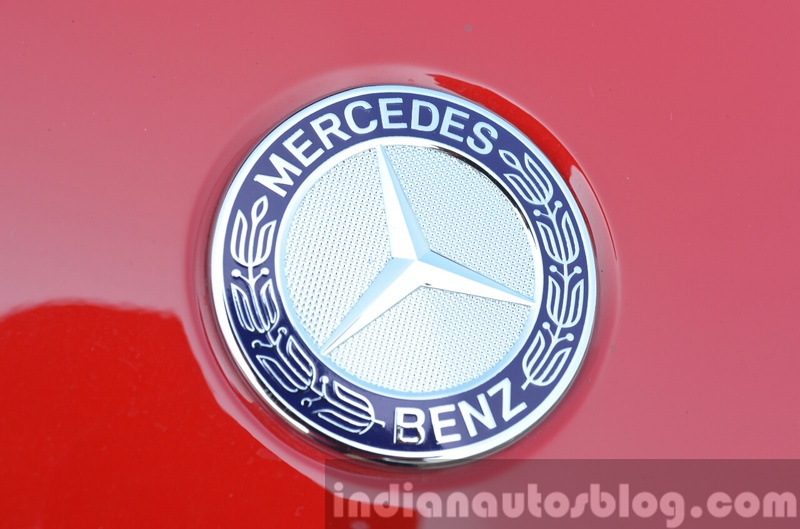 Compared to 2013, the gap between Mercedes-Benz India’s and Audi India’s sales have narrowed to a mere 650 units. This, despite the fact that Merc’s entry-level models in India are imported as CBUs, while Audi’s Q3 and A3 Sedan models are assembled locally. From being No. 3, Mercedes has quickly come up the rank and has narrowed the gap with Audi significantly over the last couple of years. 2015 could either see Merc triumph over the four rings, or the latter, or who knows, even a tie. Who emerges on top between these brands could make for fitting TV even, with both brands having announced at least 10 launches each. Key to Mercedes Benz India’s sales are its NGCC (New Generation Compact Cars) models which account for over 20 percent of sales. Starting 2015 is the Stuttgart-based luxury car maker which launched the Mercedes CLA Class on January 22, 2015. 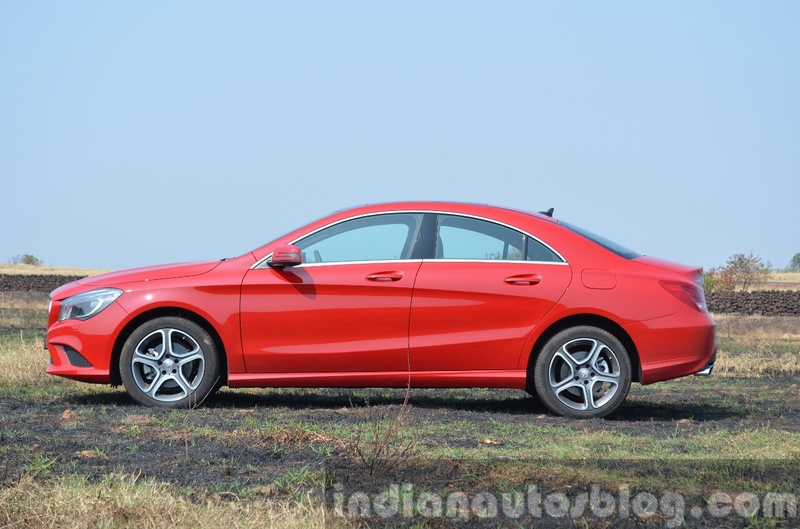 The CLA is squarely aimed at the A3 Sedan, and comes with a petrol and diesel engine. But what’s it like to drive? Frameless doors are unseen in this segment, or the next, or even the one above that. The CLA turned plenty of heads in Goa, where our drive took place. And why wouldn’t it. With looks of a car twice its price, the CLA is unlike anything you’ve seen before. Internally, Mercedes officials refer to it as the ‘Style Rebel’. The front fascia is borrowed from the handsome A Class, but the grille is given black diamond-like pins instead of the A’s white-colored pins. The coupe-like profile combined with the frameless doors are unseen in this segment, or even the next. In fact, you’ll have to purchase the Audi A7, BMW Gran Coupe or Mercedes CLS if not the CLA if you wanted those frameless doors. The CLA is higher in length and wheelbase compared to the A3 Sedan. The CLA is a gorgeously designed car, and can be bought just for its looks we would argue. Apart from looks, even spec wise, the CLA triumphs over the A3 in terms of wheelbase (the CLA is 62 mm longer here), and is one of the sleekest series production cars (with a Cd of 0.25). The CLA’s dashboard is carried over from the A Class/GLA Class which has its own merits and demerits. On the plus side, the cabin’s build quality is faultless, as are its features. On the downside though, this dashboard is getting a bit monotonous as it is shared with the entire NGCC range. Note the new 3-spoke steering wheel part of the 2015 MY update. What is not shared with other cars is the new 3-spoke steering wheel which is chunkier to hold. This is part of the 2015 MY update the CLA received globally, and the Indian cars get this new steering wheel needless to say. The front seats are electrically adjustable and get memory function as well. The seat itself gets an integrated headrest much like the A Class. While back and lumbar support are commendable, these units lack thigh support. A bit more thigh support on these seats would have done a world of difference on long drives we feel. Moving to the rear, you may have read other publications complaining of the less-than-average headroom. However, rather than complain, we think this is a choice the customer makes: take that gorgeously designed coupe roofline and live with just about acceptable rear headroom, or buy a conventional-looking sedan so that your head doesn’t touch the roof. Space at the rear is just about adequate. Instead, our complaint at the rear deals with the legroom. For a wheelbase which is 62 mm longer than the A3, it is the Audi which feels roomier we would argue. At 19 mm wider, the A3 Sedan’s rear bench offers a bit more shoulder room as well compared to the CLA. That being said, for four average sized adults, the CLA feels comfortable. However, the chauffeur driven customer must look a segment above as these cars (CLA and A3) are clearly targeted towards the self-driving young individual. 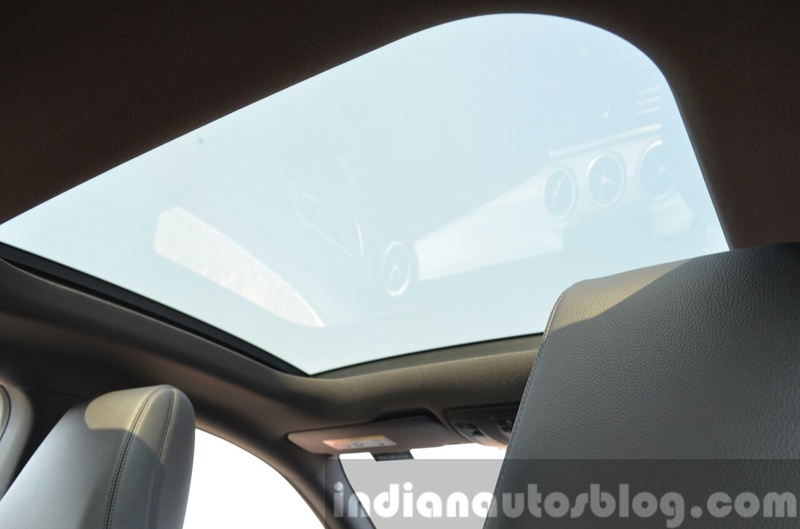 A panoramic sunroof is standard across all variants. Mercedes says that it will not dilute features of the car to arrive at a lower price. Offered in two variants, even the base model gets a panoramic sunroof, 17-inch alloys, reverse camera among others. Opt for the top-end variant though and you get Bi-Xenon headlights, powered front seats, a COMAND infotainment system with a Harman Kardon speaker system, and the comfort ground clearance (read higher ground clearance). Standard safety features come in the form of 6 airbags, ABS, EBD, ASR and Hill Hold. 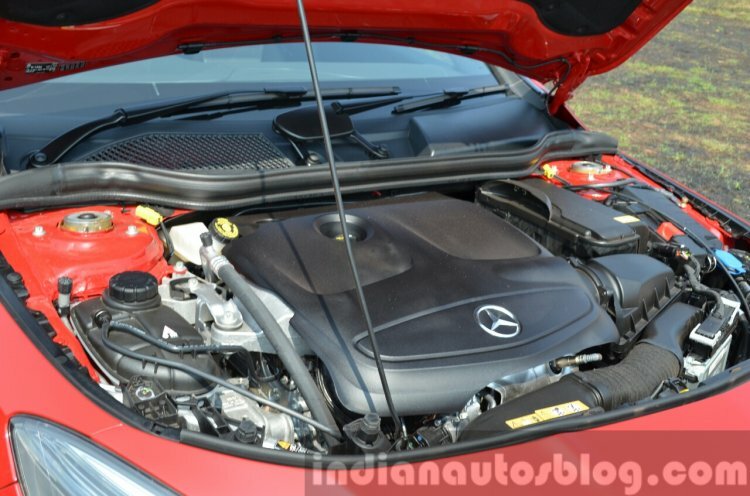 The CLA 200 CDI is powered by a 2,143 cc four-cylinder diesel engine which makes 134 bhp and 300 Nm of torque. A 7-speed dual-clutch transmission drives the front wheels. Slow gearbox and a 1.5-tonne kerb weight mean the CLA is not an extremely quick car. The sore points first: The 2.2-liter engine is not the quietest in its segment. Audi’s 2.0 TDI has much better noise isolation levels, both inside and outside the cabin. Next, the CLA is not a lightweight, in fact quite the opposite. When it boils down to the power:weight ratio, the CLA 200 CDI puts a paltry 85.35 bhp/tonne. Not helping the CLA in this aspect is the slightly lethargic gearbox, which feels a generation old. Flat out, the CLA 200 CDI does 0-100 km/h in 9.8 seconds, which is not supremely quick. But, drive the CLA gently, and you begin appreciating this engine for its relaxed cruising capability. In fact, the 2.2-liter unit responds best to part-throttle inputs and an unhurried driving environment, be it maintaining a steady triple digit speed on the highway or a smooth drive in bumper-to-bumper traffic. 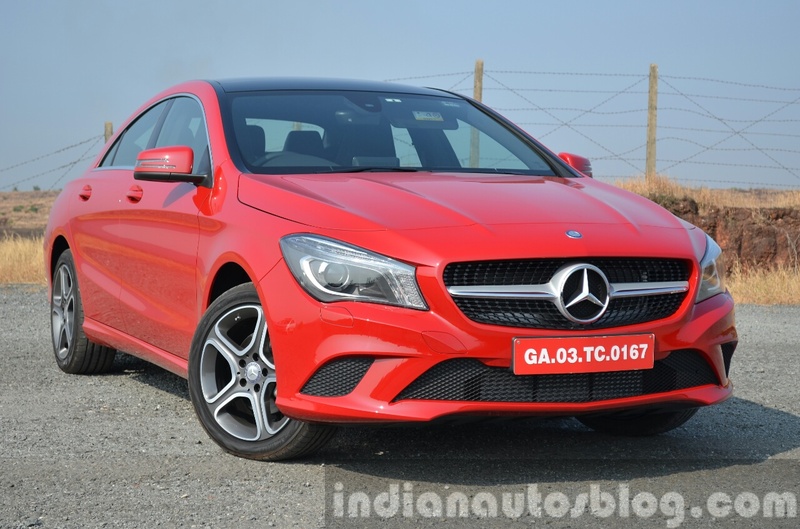 With the price gap between petrol and diesel shrinking, a few owners will no doubt opt for the CLA 200, which is powered by a 2.0-liter four-cylinder turbocharged petrol engine developing 181 bhp and 300 Nm of torque. The transmission is once again a 7-speed dual-clutch unit. 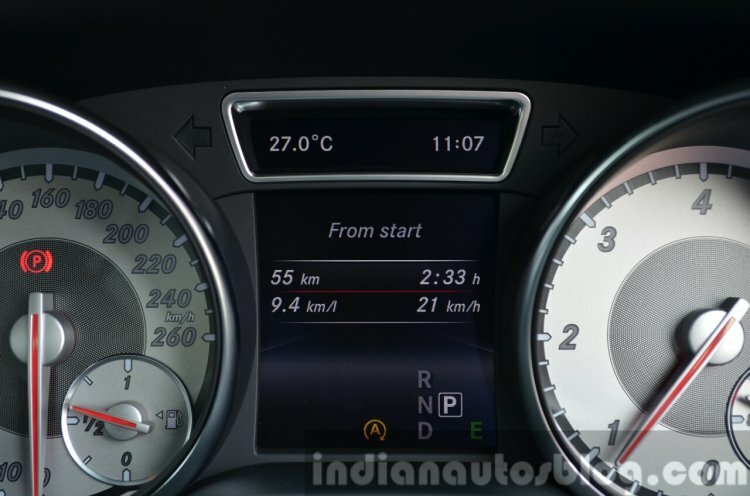 The 2.0-liter petrol doesn't excel in any particular area. It may seem quick on paper, but the 1.5-tonne weight robs the car of performance. Sure, 0-100 km/h comes in 7.8 seconds, but the CLA creates quite a ruckus when floored. The transmission is again on the slower side, which doesn’t help the car’s case, especially since it is down on the power-weight ratio once again (the CLA 200 puts out 119.86 bhp/tonne). Of the two, we prefer the CLA 200 CDI as this is a proven engine on the A, B, C, E and ML Class models, as it has adequate power for normal city and highway usage. 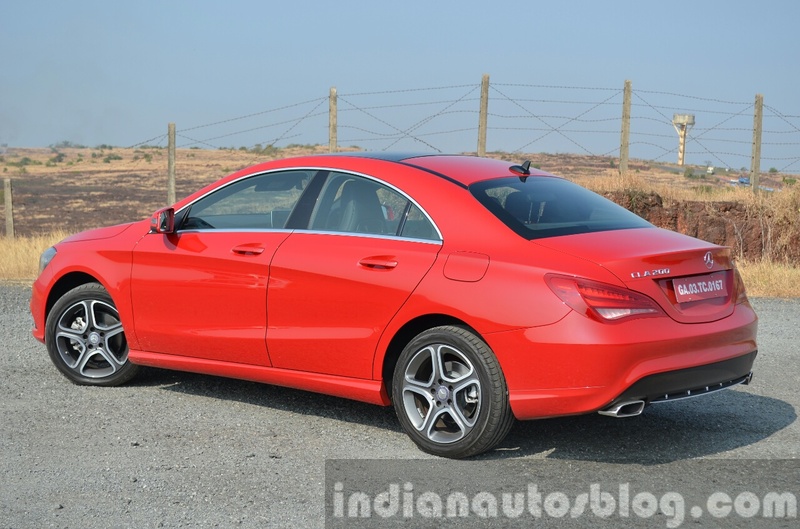 The CLA's ride quality surprised us, especially since it rides on 17-inch alloys with low profile tyres. IAB criticized the A Class for its rock-hard ride quality when it was launched in June 2013. With the same apprehensions (the CLA is based on the A Class and even rides on similar 17-inch wheels), we took the CLA on Goan streets. But the story it seems is completely different on this sedan. Merc’s engineers have fine-tuned the suspension for the Indian market, a product planner said. And what a job they’ve done. To put it simply, the CLA has that brilliant ride quality expected of the 3-pointed star. The car we drove featured the Comfort Suspension which is nothing but increased ground clearance (Merc won’t specify the ground clearance of the CLA in India) over the regular CLA. 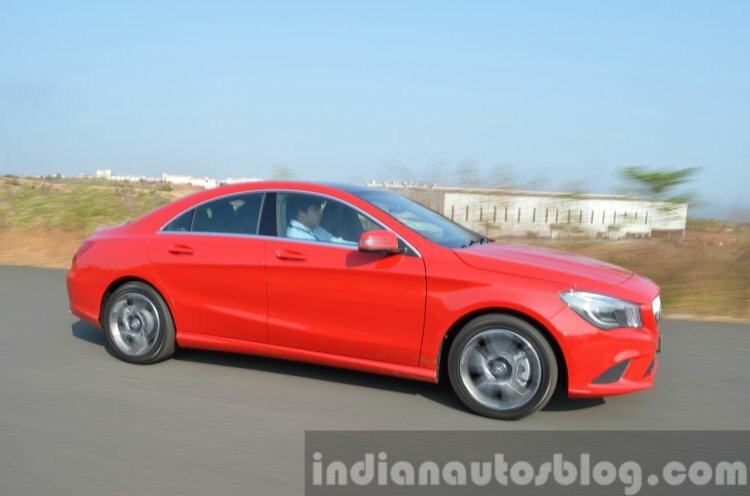 Potholes, even the medium-sized one’s, were dealt with little disturbance to the occupants, while properly bad, Indian roads saw the suspension of the CLA deliver the expected Mercedes levels of a comfortable ride. The handling is more than enough for the power on offer. The soft ride quality has not taken a hit on the handling. Despite being a front wheel drive, the CLA is sure-footed, and feels very capable on winding roads. At the limit, the car does understeer, but the 'limit' we're talking about needs vast stretches of tarmac and absolutely no traffic, or better known as a racetrack. And if you must have a CLA for the track, you're better off with the CLA 45 AMG. For a bit of spirited driving on normal roads, the regular CLA does just fine. 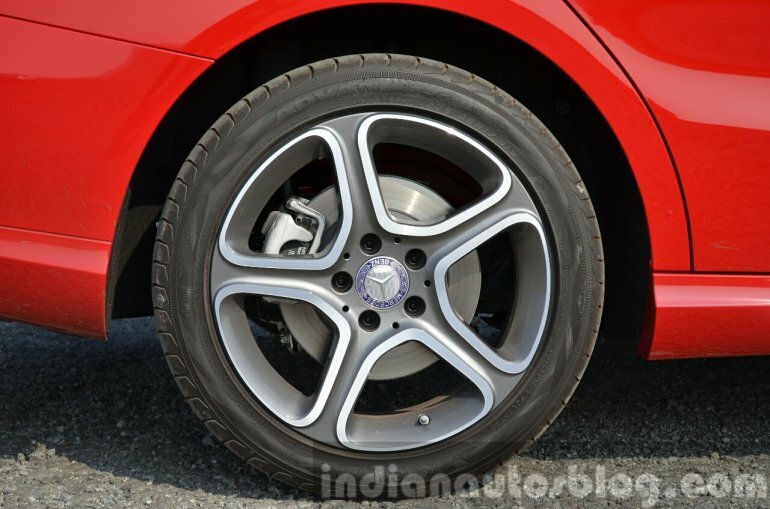 The CLA comes with disc brakes at the front and rear, with 17-inch wheels shod on 225/45 tyres. Even on surfaces with loose gravel, the CLA’s precise ABS and the grip from these tyres ensured in the driver losing no confidence. In terms of safety equipment, the car comes loaded with 6 airbags, ASR, EBD, ABS and ESP. The Euro NCAP awarded the CLA a score of 5/5 when it was crash tested in 2013. The diesel engine is known for its frugal nature elsewhere in the product lineup. Mercedes claims a fuel efficiency of 15.04 km/l for the petrol and 17.9 km/l for the diesel. During our drive, the diesel returned about 11 km/l while the petrol posted a figure of 8.5 km/l. As mentioned before, the 2.2 diesel is a frugal motor, and one that has established itself for its economy on other Mercedes-Benz products. The CLA diesel is priced between INR 31.5 lakhs to INR 35.9 lakhs, while the petrol retails at INR 35 lakhs, ex-Showroom, New Delhi. The CLA can be bought just for its looks, period. That’s not to say that the car doesn’t excel in other areas. The gorgeous CLA can be bought not only for looks, but also for ride, handling and features. Take the looks aside, and the next trump card of the CLA is its ride quality combined with sporty dynamics. We find that the well-built cabin packed with features complements the CLA very well. Mercedes has earned some praise by offering many features (like the sunroof, electric seats, etc.,) as standard, and limiting variants to just two (CLA Sport and CLA Style). Next up, is the running cost of the car. 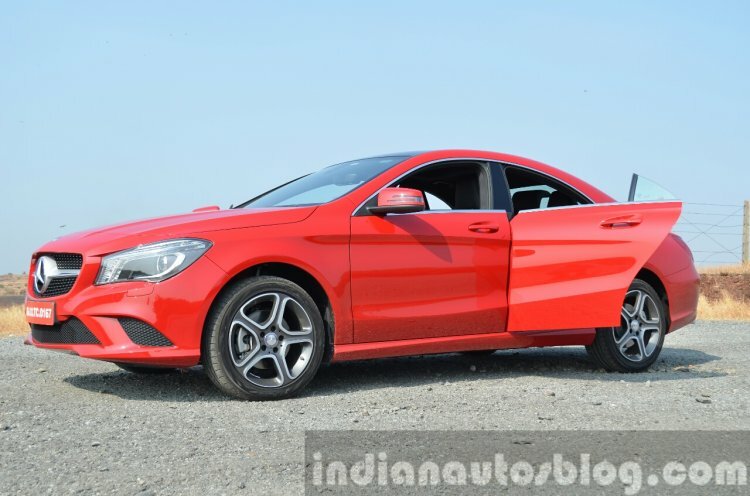 The diesel engine is indeed fuel economical, but more importantly Mercedes claims that the cost of maintaining the CLA will not burn a hole through your pocket. The car maker is offering a service package which costs INR 1.99/km on the CLA. 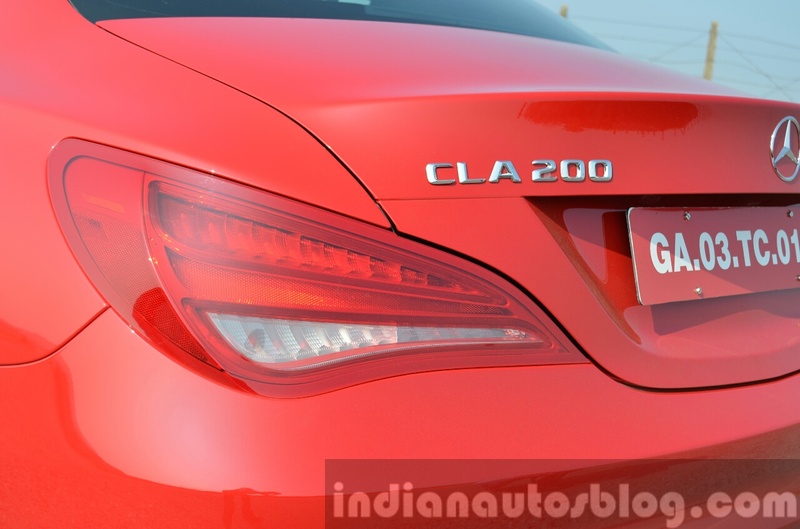 Local assembly of the CLA will start this year at the Pune plant. Yes, the engines of the CLA are not its highlights. Its high time the car maker updates its 7G-TRONIC box to a newer version, or at least brings the 9G-TRONIC to more of its products. And Merc may take credit for making the most powerful series production four-cylinder engine (fitted on the CLA 45 AMG), but the regular series production four-cylinder engine (seen on the CLA 200) has plenty of room for refinement. 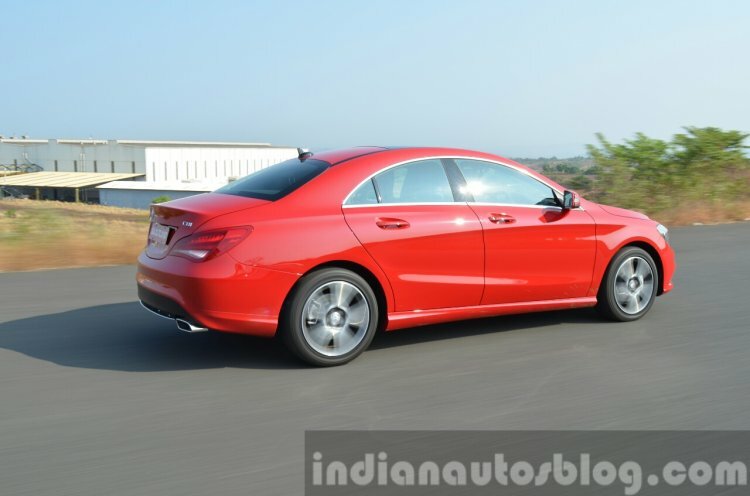 At INR 35.9 lakhs for the top-end diesel, the CLA doesn’t come cheap. But at the end of the day, we see ourselves paying the premium price for it. Spare wheel is mounted on the boot floor, Merc doesn’t have a fix for this, still.